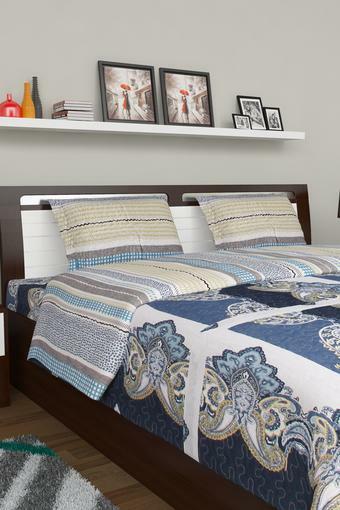 A melange of comfort and fine aesthetics, this reversible quilt be an excellent pick for you. 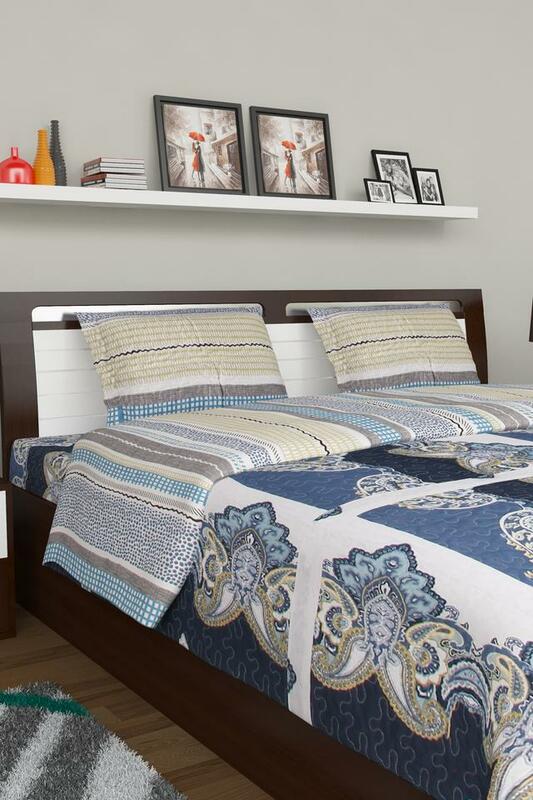 It promises to offer a hassle free maintenance as it has been crafted with care using good quality fabric. Featuring a stripe pattern on one side, it also comes with prints on another side and that shows a fine inspiration from paisley motifs. By the virtue of its distinct look and comfortable make, this quilt from Ivy is worth finding a place in your collection of bed linens.